Playing on the chords of your soul, it would take some time to reach that Sol. This will be a trip of revelation, of discovery, of new understandings, and most importantly – of a new creation emerging into the world. 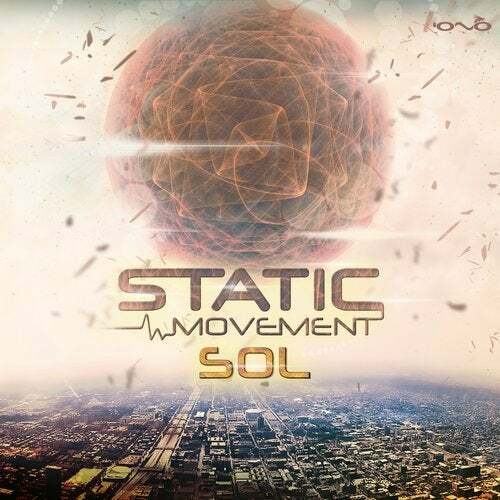 This is the second journey of Static Movement, aka Shahar Shtrikman from Israel, who was inspired by the birth of his first daughter – Sol - to explore the soundscape of the melodies that capture that special moment in time and correlate with the meaning; both a musical key and the sun. In order to do that, he decided to take his craft to the next level and introduce a piece that flows exclusively from his inner rhythm. After his debut album Circle of Life was released in 2013 on Yellow Sunshine Explosion, he experimented and tried to see where he can take his art; from the Eps Put Your Glasses On and onto Inner Voice, he developed unique sounds. He also collaborated with other artists such as Egorythmia, aka Boban Lazovski, in Other Dimensions of Space, joined forces with Gaudium, aka Andreas Wennersköld, to create Spiritual Energy on Iboga records, and also teamed up with Klopfgeister, aka Thorsten Paul, to show that Anything is Possible on Spintwist records. After absorbing all those tunes, it was time to create this masterpiece. Discovering that special Sol feels like discovering Elements of Freedom. It overflows you with Liquid Vibrations that occasionally bring Distortion of My Mind. It creates an effect where you say – I am Away from My Body, but it actually means that you are drifting to a Magical Journey induced by Lsdreams. That newly discovered realm signifies the Dawn of Time and will allow you to Explore the Unknown.